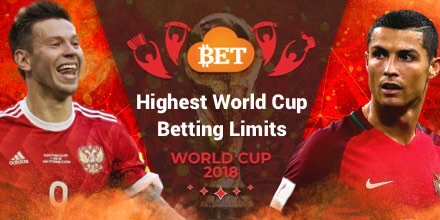 The 2018 FIFA World Cup is finally here and Cloudbet is giving you the opportunity to win big just for placing your World Cup bets! 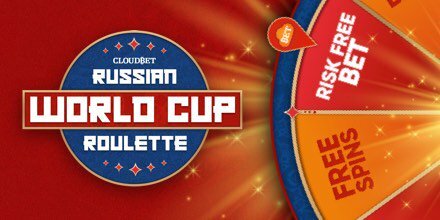 ▪ Cloudbet have three separate Russian Roulette wheels filled with prizes and the one you get to spin is determined by how much you play over the first four days. ➡ Wheel 3 - Turnover 10 BTC or more.  Plus, with some of the best odds on every game all tournament as well as over 100 pre-match and in-play markets, never miss a moment of the action with Cloudbet.